Mature. 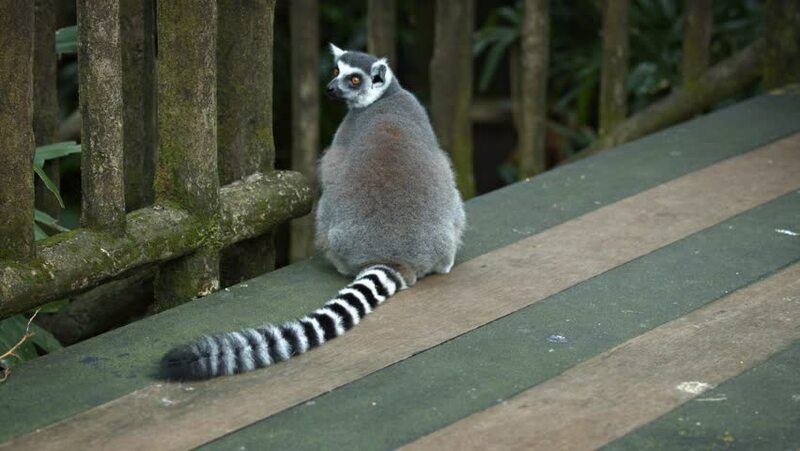 ring-tailed lemur. with its typical long. striped tail. sitting on a wooden deck at a popular public zoo.